2015 saw the introduction of HackBerry Motorsports, a creative team formed out of passion for vehicles. A few Creative Technologies students had recently built and programmed their own ChibiKarts. ChibiKarts are miniature electric vehicles, like rechargeable go karts. 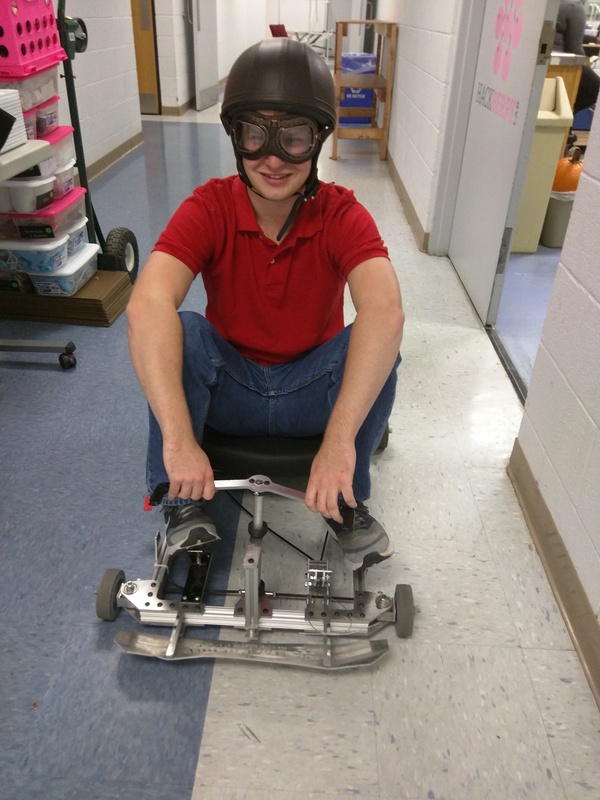 After hours and hours of work designing, constructing and fine-tuning, the finished karts became a fixture of HackBerry and could be seen speeding in and out of the lab on a daily basis. 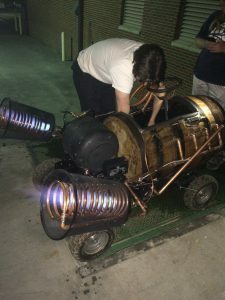 As the ChibiKarts could be seen zipping around campus, other students were just finishing their work on a scratch built hovercraft, propelled with a lawn mower engine and a LOT of hours of labor. Here’s a video of the hovercraft’s first test flight. 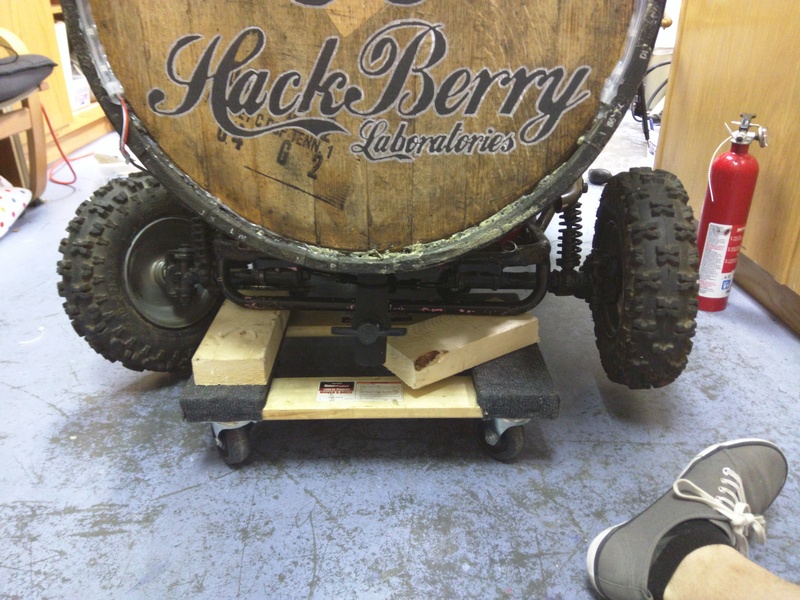 As the CRT students were designing vehicles, professor Zane Cochran was designing alongside them, only instead of an electric kart or hovercraft, he opted to construct a gas-powered go kart with a Whiskey barrel for a chassis. However, having a Donkey Kong-esque, barrel-shaped go kart wasn’t enough for Zane, so he coated the inside with a water-resistant coating, added a water pump, propane tank, some copper piping, and two propane torches out the back. The final product, dubbed the “Hot Tub Hot Rod,” is a fully functional hot-tub inside the chassis of a fully functional go kart. The Hot Tub Hot Rod erupts dual jets of flame from the back, heating up the barrel/chassis full of water, which is pumped through coils around the flames and back into the kart, massaging the driver’s legs while the kart chugs along at speeds of up to 30 mph. We don’t do things halfway at HackBerry Motorsports.